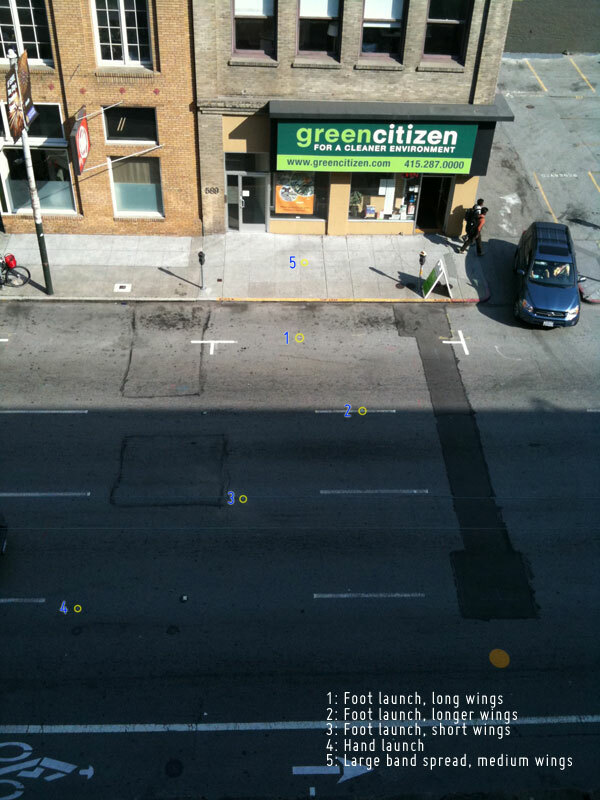 Project "Window Ballistics" centers around shooting non-harmful paper projectiles out of the window. The rules are that the projectiles must be made of paper and may have no sharp edges, the propulsion system must be one or more standard rubber bands. Elevation of the launch window is the 4th story. Today we made three window ballistics attempts. The first was an aerodynamic freak of nature and hit the indicated window on the 5th floor of the building! We quickly ducked before people there looked out to see what made the noise. The second two attempts landed in the street. Based on this new data we have added two new goals which are to put a projectile through an open window or to put one onto the roof.